The 30-40HP wheeled tractor is designed with direct injection diesel engine, characterizing large torque and vigorous power. Besides, this product has the following features. 1. There is a sliding sleeve matched for the transmission and power output shaft of the farm tractor. Besides the gear shift, the shuttle shift and creeper gear are optional. 2. The wet double disc brake device makes for outstanding brake performance and high safety of the agrimotor. 3. 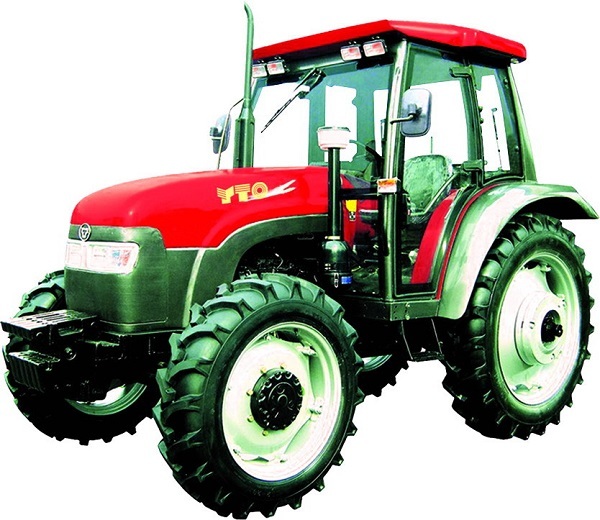 Provided with dual clutch and transmission device, the 30-40HP wheeled tractor has higher working efficiency. 4. Our farm equipment is installed with double speed PTO shaft, and two hydraulic outlets. So it can be matched with many farm implements. 5. The compact structure, small turning radius and flexible turning make it suitable for the application on small site. 6. For intelligent operation, the 7.10mm high-clearance tractor is available from us, as well.